It’s summertime again … time to enjoy the great outdoors with family and friends. It’s also time to prepare and protect against the sun’s harmful rays that inevitably will strike and turn us red and tan. 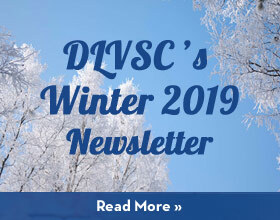 Hopefully, we will all remember to use our sunscreen because, most assuredly, the sun can cause skin cancer through insidious processes that take 10-20 years to develop from time of exposure. However, did you also know that the sun breaks down collagen and causes premature aging of the skin in a much more rapid fashion? Read on to learn about so called “photoaging” and how we can reverse these effects with the wonders of cutting edge medical technology. Predictably, demand for rejuvenating cosmetic procedures is growing at a rate commensurate with the aging baby boomer population. Procedures for restoration of a youthful appearance, including liposuction, laser surgery, and fillers are seeing a large rate of increase. Recent survey data from members of the American Society for Dermatologic Surgery (www.aboutskinsurgery.com) report over five million procedures performed in 2005, up dramatically from 2001. Minimally invasive in nature, skin rejuvenation has had the biggest jump in all cosmetic procedures over that time period. Photorejuvenation refers to the use of laser/ light-based devices to reverse the process of sun-induced or environmental damage to the skin. The goal is to improve cosmetic concerns characteristic to photo-aged skin on the face and body, including the presence of brown spots, fine wrinkles, coarse texture, prominent pores, and blood vessels. In contrast, chronological skin aging results in thinned skin with reduced elasticity, but with maintenance of normal skin pigmentation and texture. The next time you are in front of a mirror, take a look at the left side of your face, arms, and body in comparison to the right side. It is not uncommon to see more brown spots and fine wrinkling on the left or driver’s side, an unfortunate effect from exposure to the sun for years while driving in the car. Yes, window glass does filter out most of the UVB (Ultraviolet B) light in sunlight which does cause skin cancer, but does not effectively filter out UVA light which is the bigger culprit in photoaging. Sunscreen and sun avoidance are our best defenses against photoaging and we’ll talk about these in another issue. Thankfully, many devices exist which are capable of treating photoaged skin. The most popular of these are the “pulsed light devices”, also known as IPL™, Photofacial™, and Fotofacial™. They are not true lasers, in the sense that they emit multiple wavelengths of light. In contrast, lasers emit a single wavelength of light. Consequently, pulsed light can effectively eliminate multiple different targets on the skin. Also, pulsed light devices have bigger treatment tips so they can contact and treat more skin with a single shot. 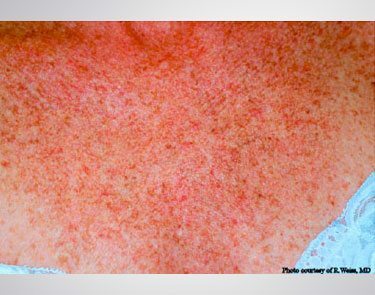 For example, both brown spots and blood vessels can be simultaneously addressed with a treatment of a pulsed light device. Typically, this requires the equivalent of two different lasers (one for red and one for brown) to achieve successful results. One exception to this rule occurs with the use of the laser, called the Laserscope Gemini™. Fig. 2. 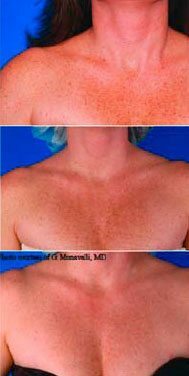 Classic pigmentation of the sun-exposed upper chest, caused by photoaging from the sun. Using this laser, the “green light facial” hits both red and brown and can make a huge difference (see Fig. 1). Most discussions with cosmetic dermatologists center on how to improve the appearance of facial skin. The physicians at the Goslen Aesthetic and Skin Center have years of experience and multiple different technologies at their disposal (as described above), capable of tailoring treatment specific to the patient’s individual skin type and degree of photo-damage. 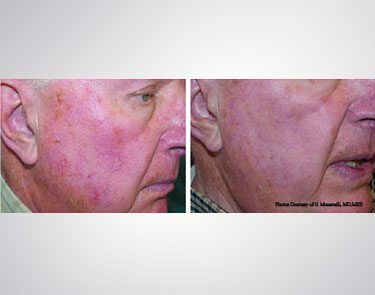 Treatment with either lasers or pulsed light devices can be accomplished quickly in a relatively pain-free, no-downtime, manner. This allows us to achieve results as seen in the photos. Please visit us for a one-on-one consultation with our physicians to develop a plan for allow your skin to look and feel its best!